“The good news is the voucher may be used for the enrolment fee for FunSing as it is a registered activity provider” FunSing Director Kim Hernage said. “That’s right $100 can be claimed per child enrolling at a FunSing workshop each year. That brings an enrolment cost down from $250 for a workshop to just $150” Kim added. Go to service.nsw.gov.au/transaction/apply-creative-kids-voucher to get your voucher online. You will find all details at this site. The recent Beauty and the Beast production at Ballina Players was great. “Everyone associated with the show should be very proud of what you have achieved. It really was high quality” said FunSing Director, Kim Hernage. How great are our youth! There were so many stand out performances on the stage and the young band produced some of the best music to come from the Players’ pit … and what about the quality of the costumes … five star! “To Director, Jacquie McCalman and your team, you are deserving of every credit that has come your way. Good people who give their all to a good cause can achieve great things … and that is what you did” said Kim. FunSing’s connection with youth productions has been strong for many years and it looks forward to the next one, Kim added. With the closing of the curtain at the October FunSing workshop concert, FunSing’s tenth year was over. A truly wonderful landmark. “When we started the program in 2009, we thought it would fill a gap in theatre style activities for Ballina children and teens” FunSing Director Kim Hernage said. “Although we believed singing, dancing and acting activities would contribute to holiday fun and assist in youth personal development, we weren’t 100% sure how it would be seen by parents generally”. FunSing is a fast pace, high energy program that kids from the area have fallen in love with and parents have recognised the benefits. “They continue to be amazed at what the kids are able to achieve in just 4 days” Kim added. The program fills to its limit every time with return customers and word of mouth communication. Over 600 children and teens from throughout the Northern Rivers have attended FunSing a total of 1800 times. 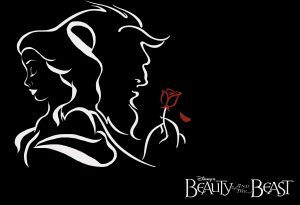 The major film and musical success for many years, “Beauty and the Beast” will be performed on the stage of Ballina Players in January 2019. It will be another Players’ “youth production” with majority of roles being played by young performers from the region. Kim Hernage congratulates everybody who auditioned successfully and especially acknowledges the 21 successes who have experienced FunSing workshops in the past. The show will be directed by Jacquie McCalman. Each FunSing workshop has a special guest presenter and Jacquie joined us in October last year and provided good information and comments about youth productions. Major productions of “Beauty and the Beast” have been held in over 50 major cities throughout the world since 1993 and now it’s Ballina’s time, Kim said. It is considered to be Broadways first legitimate family show. Best wishes to all as you prepare and rehearse. Congratulations to Lennox Broadley and Torin Forsyth for being selected for roles in the Ballina Players’ production of “The Boy from Oz”. I am sure that Peter Allen would have been comfortable knowing that they will be playing him when he was a young boy. FunSing is proud of you both. The show opens on 9th November. It’s one not to miss. The NSW Government recently announced that a Creative Kids Rebate will be introduced in January 2019. The $100 per child rebate will be able to be put towards the cost of participation or tuition fees for a range of creative and cultural activities including music lessons and performing arts. FunSing Director, Kim Hernage said that more information about the rebate, including the eligibility criteria and providers, will be available in the coming months. “I am anticipating that the rebate will be able to be used towards FunSing fees” said Kim. “The recognition of the value of programs such as ours is a great step forward” she added. More information will be provided as soon as it is available. In the meantime you can visit www.nsw.gov.au/news-and-events/news/100-rebate-for-creative-kids.